This was a fun place to eat. Loved the bright colored decor and lively atmosphere. We ordered the mole which was fantastic! The drinks were very good too. Would love to visit again! 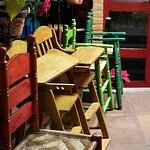 One of the best Mexican food restaurants in town with an ample variety on the menu and very good service, everything is delicious and fairly priced. I didn't have the chance to enjoy a full meal but breakfast was good and plentiful. Service very good. 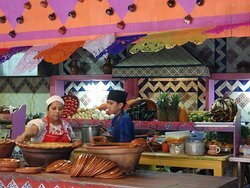 Authentic Mexican food prepared in a very traditional way. People are very kind. Flavors of the past! Try chilaquiles with cecina for breakfast. Have sopa de tortilla and chiles rellenos for dinner. 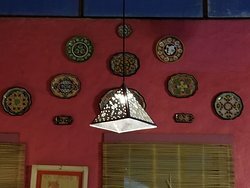 While I much prefer their location on Teopanzolco, Los Colorines has never disappointed. Always great in quality of food, service, and price. We had a truly fantastic breakfast here. 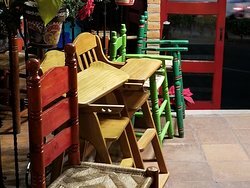 Authentic Mexican food and coffee. Great service at a good price. Will definitely be back here again. 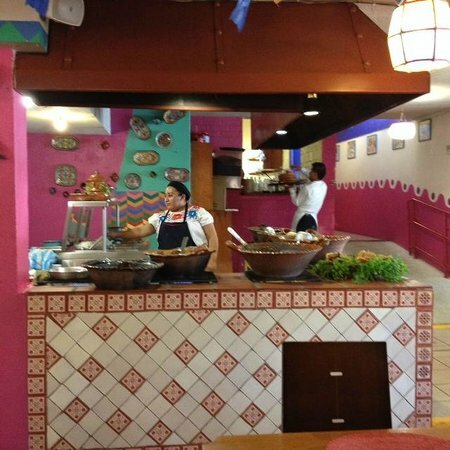 This restaurant is an excelent option for real and traditional mexican food. 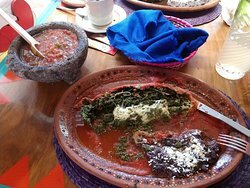 Here you can find plates like Mole, Pipián, Huauzontles, and of course tortilla soup and enchiladas. Good prices . Get quick answers from Los Colorines staff and past visitors.